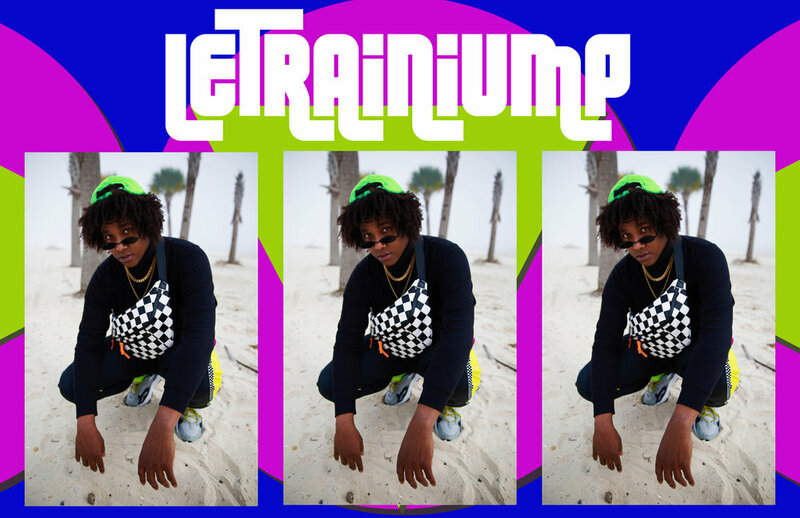 Based in New Orleans, Louisana, multi-faceted neon Pop Artist, LeTrainump (aka Tray Richards) sound is reminiscent of the 80’s and 90’s with lyrics and beats that you just can’t help but move to. We got to speak with Tray about origins, inspirations and all things LeTrainiump, check out our interview below. What originally got you into music? I remember i used to make sounds out of anything at age 5, i remember singing along to songs programmed into my cousin’s Casio but i’d always re-word them to say what i wanted them to say. I was always told growing up that if i really love something, make it my job. I just so happened to fall in love with the one thing that everyone feels connected to! It’s like music understood me no matter what i went through. There was always a song that could speak when i didn’t have the words and always a vibe that brought me back to all of my greatest life experiences; good and bad. Honestly i had and still have this groove stuck in me that i need to get out! Music was & is my way out from everyday life. What is the origin of the name LeTrainiump? That one’s easy! I got the name from my mom who named me LeTrainiump when i was born! Growing up i always avoided that name & preferred nicknames. It was actually my former guitarist, Josef Barr, who first mentioned that i should be known by my actual name as an artist. He said he felt as if it was too original not to use. Naturally i fought against that but after years of wanting to be in the music industry and a self-producing artist, i finally embraced my name and realized you can’t run from who you are! Pop, with a taste of funk, and the feel of R&B. I’m heavy into the 80’s & 90’s starting with Michael Jackson, Olivia Newton John, a lot of Zapp & Roger. I’m also heavy into Earth, Wind & Fire, The Aces, Fickle Friends, and lately Travis Scott! Could you briefly describe your music making process? Honestly it starts with experiencing life and really letting my emotions speak through every experience. I start with one rhythm, maybe on Synth, and sing how I’m feeling in that moment. From there i usually build a demo but to be honest a lot of my music making happens through out my day. I can be at a party or at a park and be in the right vibe and hear each part of the song. I tend to see life like a movie & I’m just here to score it. How has your music evolved since you first began? I’ve figured out what i like, who i am and how to express it. I used to write based on what was popular at the time and decided now to produce what i would like to hear. The moment i learned how to produce my own tracks changed everything. Tell us about your newest track "Think", where did the inspiration for this track come from. I listened to so much New Edition and David Bowie in the process. Think started as an idea of Royal Teeth’s, Gary Larsen and grew quickly as collaborative effort between the two of us. At first hearing the song i thought to myself “dude is next level” and i honestly doubted that I could bring a fresh light to an already killer idea. I sat with the song for a few days and began to re-imagine it, taking piece by piece and allowing the song to become a reality around me. The lyrics to the song came very fast because I was going through what I was singing at the time and it quickly became one of my favorite songs. Goals for 2019, where do you see LeTrainiump heading this year? 2019 I want to tour! I plan on releasing several new tracks that I’ve been working on and teasing on Instagram and bringing my live show to a few major cities throughout the US. I’m currently building a team to make all that possible, so if your reading this and know someone let’s talk!